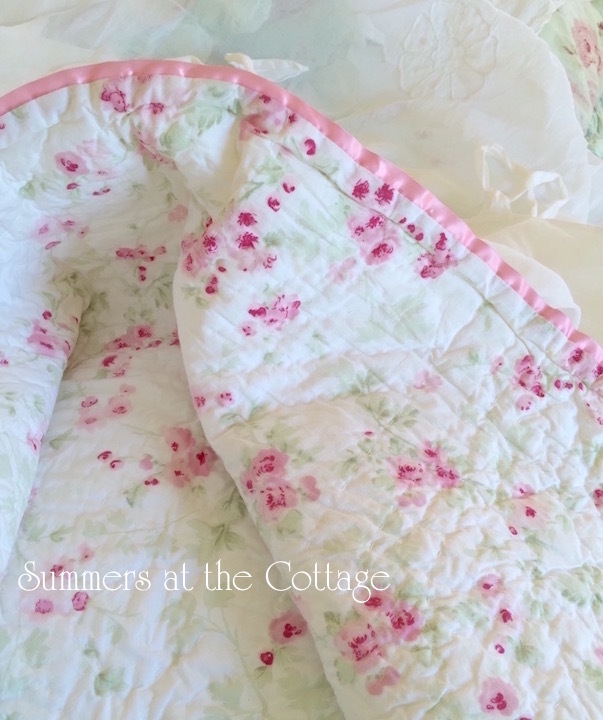 Throw Blankets Bed Toppers - We offer some wonderful throw quilts and blankets to accent your cottage home. 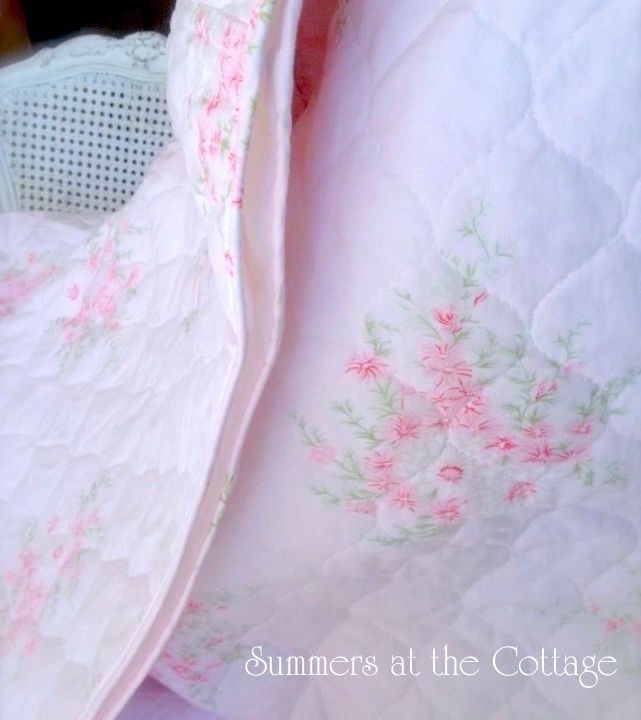 Throw quilts are great to layer at the end of your bed to add a touch of cottage charm, or use as a bed topper on top of a solid quilt or matelasse to add texture and patterns to transform your bedroom, guest room, or Master suite into a cozy cottage retreat, and perfect for any Bed & Breakfast or French Country Inn. Throw quilts and throw blankets are beautiful accents when draped on a white wicker settee, your favorite shabby chic sofa or overstuffed chair for extra color. Most throws measure 50 x 60 inches - the perfect size to snuggle under whether in front of the fireplace or sitting on a porch swing on a cool summer evening. With styles that range from shabby chic to elegant romantic homes, beach cottage, or French Country. With florals, stripes, roses and cottage colors. 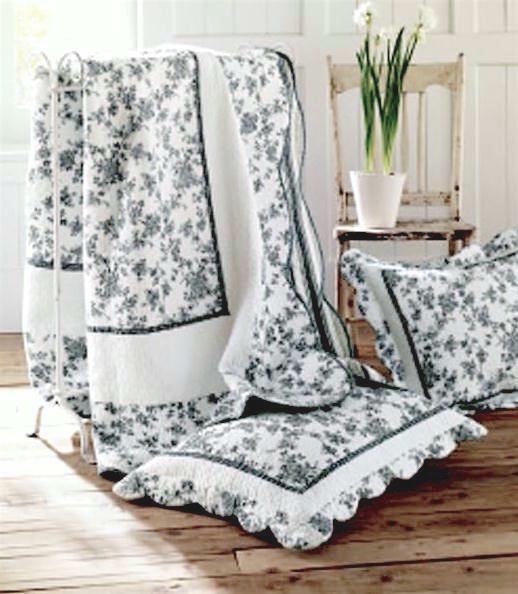 Rag quilt throws and patchwork designs reminiscent of yesteryear with vintage and antique charm. You will find a mix from charming elegance to casual style with inspiration from vintage fabrics. 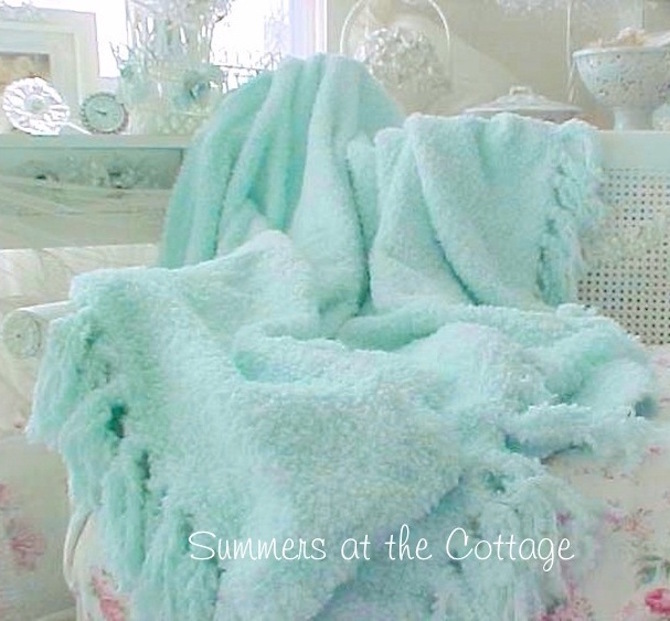 For a beach house home to French cottage, French farmhouse and country Americana, with an occational pretty fur throw for soft and elegant surroundings.